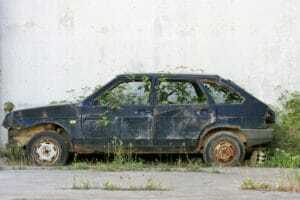 return the vehicle to the dealership where you could buy it, get a newer model on lease, or simply walk away. A year or so after the deal, your situation has changed. It could be that the shiny, new machine that you loved when you signed the lease is no longer a good fit for you. Maybe you leased a small car that can no longer accommodate your growing family, or your financial situation could have taken a turn for the worse and you cannot afford the payments. You could also have changed jobs, with your new commute being more than your yearly mileage limits. This is because dealerships and banks make their money by predicting the value of your car at the end of the lease and charge you the difference. In essence, you are paying for the depreciation in the vehicle’s value plus a little extra for the period you get to keep it. If you terminate your lease before you complete the term you agreed on, the titleholder to the vehicle will lose money. For this reason, they will make it difficult and expensive for you to try and exit the lease early. Typically, car dealerships add these fees within the terms of your new lease. This method results in a hassle-free termination of your lease, and lets you exit without having to pay any money out of pocket. Still, the fact that there will be significant penalties added to your new purchase could leave you owing more on your new car than it is really worth. You can trade (also known as swapping) your lease by finding someone who will take possession of the leased vehicle while fulfilling the remaining monthly payments, penalties and fees as assessed when turning in the vehicle. You could try to find a new lessee by yourself, or look for one on a lease-swapping website which would charge a fee if you are successful. Swapping can cost you significantly less than termination if you are really desperate to get out of a car lease early. 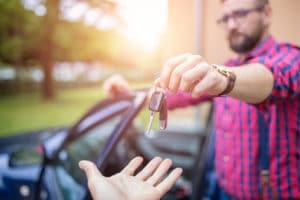 The reason buyers could be interested in taking over the remaining term of a car lease could be because they only require a short-term arrangement or, at the very least, one that is shorter than those they would be offered by car dealerships. They could also be looking to avoid paying a large upfront cost on a new lease. There’s just one catch: A good number of lessors just do not allow it. This means you have to study your original contract closely to find out if this is an option that is available to you. Most car lessors require that, in case of a swap, the original leaseholder should remain as one of the names on the new paperwork. In this case, you are essentially a cosigner on the new deal. What this means is that if the new lessee defaults on payments or incurs penalties that they refuse to pay, the lease’s titleholder could still hold you responsible for payment. Every car lease agreement has a clause within it that lets you exercise the option – at any point during its term – to purchase the car outright. What you need to keep an eye out for is the ‘buyout amount’ which should be listed on your statements. This figure is an approximation of the predetermined value of the car at that point in time plus your total remaining payments. If you want to see if this might be the best strategy for you to use, you will first have to determine the actual worth of your vehicle compared to the stated buyout amount. This will show you if you could resell the car to recoup or even exceed the buyout amount. Even a small difference could make it worthwhile to explore the option of a buyout since you would still get to avoid paying costly penalties. However, if the buyout amount indicated on your statement is significantly higher than the car’s actual market value, you may want to explore a different option. 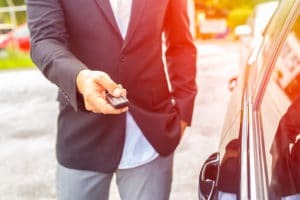 When you are faced with a desperate need to exit a lease, you may decide to simply take the vehicle back to the dealership, hand over the keys and leave. This is what is known in industry terms as ‘voluntary repossession.’ Still, you should only pursue this option as a measure of last resort. This is because, just as in any other type of repossession, voluntary repossession has a profoundly negative impact on your credit score. It is neither ideal nor easy to get out of a car lease early. The best that you can hope for is that you can find someone to agree to a swap deal and take over your payments to the end of the term, or secure a lease buyout when you buy a new car at the same dealership. If not, you will likely be liable to pay a large amount of money in penalties.